Presque Isle paid $10,000 to investigate its police chief. It won’t release the report. 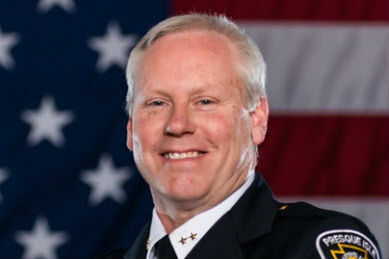 The city of Presque Isle paid more than $10,000 to a Portland law firm this summer to quietly investigate its police chief, who resigned last week and is now running for sheriff. But the city refused to make public the results of the investigation of Matt Irwin, citing a Maine statute that keeps confidential large swaths of municipal personnel records. “I have no comment on that,” said City Manager Martin Puckett, who would not confirm that an investigation took place but provided an invoice that shows the city’s payment of just over $10,660 to the Portland law firm Troubh Heisler. Six law enforcement sources told the BDN that they were interviewed in July by Troubh Heisler attorney William McKinley about the “conduct” of Irwin, who resigned Sept. 4. In a resignation letter, Irwin wrote he was stepping down to focus on his campaign for Aroostook County sheriff, the county’s top law enforcement official. He announced his candidacy in February. Following the July interviews, McKinley produced a final report, according to the invoice. But Puckett said that it was a “protected document” under Maine confidentiality laws and would not be released to the public. To read the rest of “Presque Isle paid $10,000 to investigate its police chief. It won’t release the report.,” an article by contributing Bangor Daily News staff writer Callie Ferguson, please follow this link to the BDN online.